Okay, so it’s 1:12 am here in the Philippines as I start writing this blog. I just really have to share it. This may not be the first time for some of you to hear, or even see, this food that I am to share right now. But regardless, I want to share it to those who haven’t. It’s been a while since the last time I had balut. I think it’s been 3 years. This is usually sold in the streets at night by someone on a bike with a basket. But I barely see these people selling balut. I am not sure why. 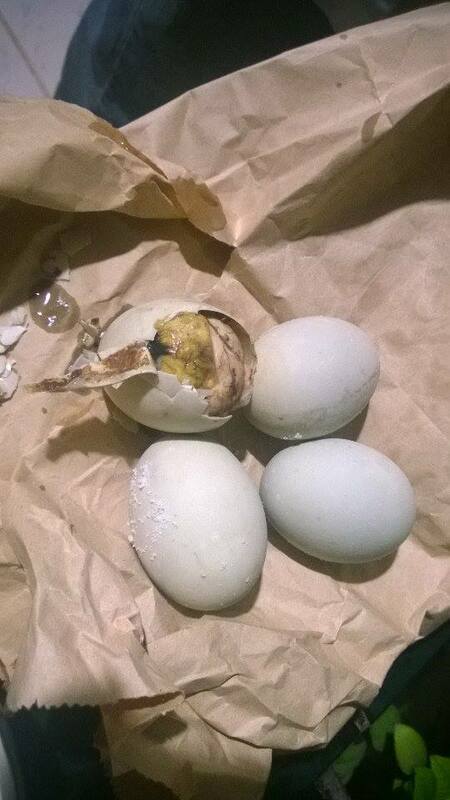 Anyway, for those who are not so sure what I am talking about – the balut (balot) is a egg – a developing one – boiled to cook. Some put salt to season while recently, some restaurants have developed a kind of dish where they put a balut on a batter and deep fried. Looks just like regular eggs. 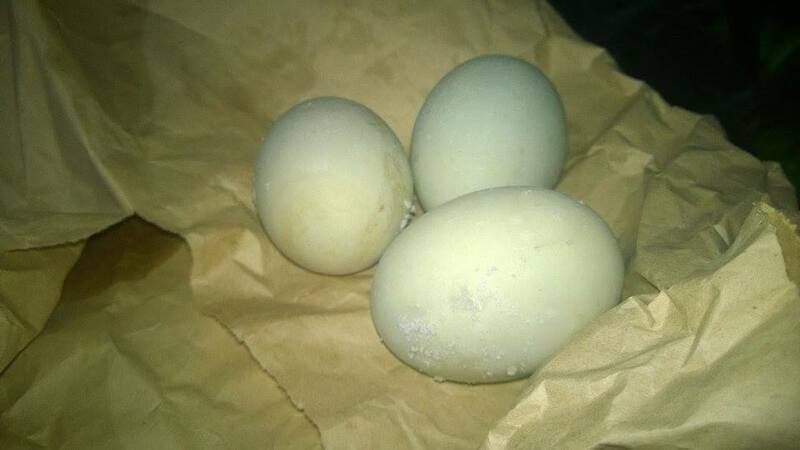 Well, these are regular duck eggs – just prepared differently. Crack it open to start. You’d notice there’s a soup of some sort. You put salt (some prefer vinegar) and you slurp the soup in. Yes, slurp. Viola! 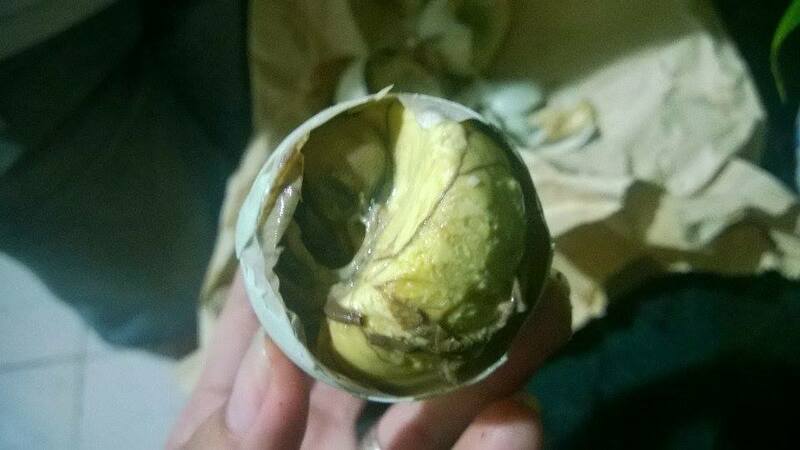 A balut, ladies and gentlemen. Oh here is a better view! If you are to visit the Philippines, make sure you try one at least. This is just one of the many exotic dishes you can encounter in the Philippines. 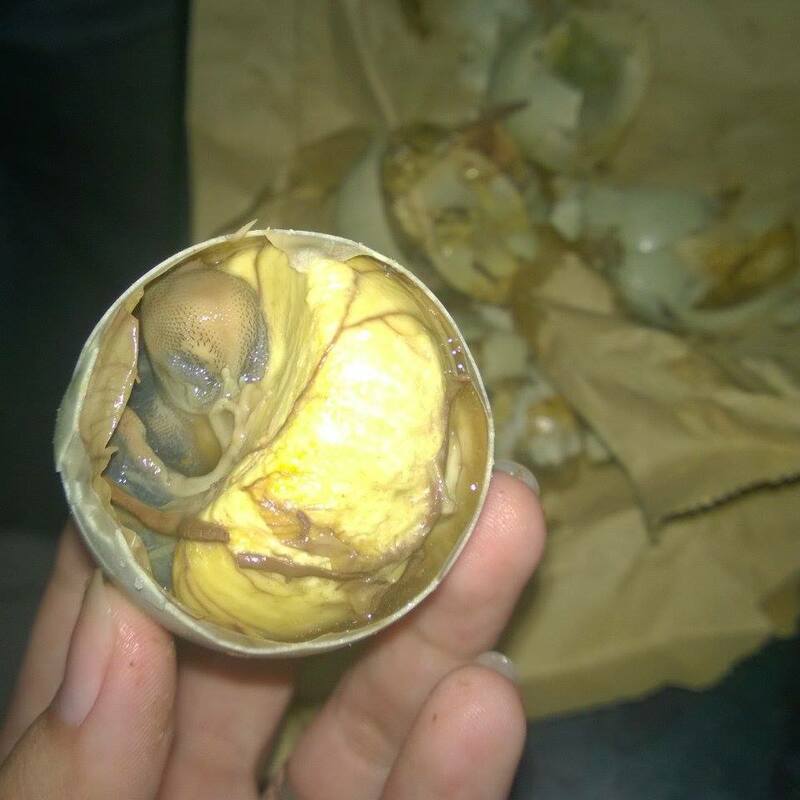 The balut could also be found in other Southeast Asian countries like Vietnam and Laos. Here where I live, particularly in the province of Cebu,Philippines, I have loved the presence of local diners or carinderia as we call it. For some they call it “KARENs” a jargon which is known when budget is low, yet a good meal is, though not necessarily, required. There used to be this one place called Carenderia Blues, somewhere at the back of Cebu Doctors Hospital, where I go for either breakfast or lunch, which ever meal is nearest after I end my 9 hour shift on my call center duties. The place is homey – some wooden and plastic tables, benches and monobloc chairs and a few electric fans that blows the humid air, sometimes away or at times around the open place. Regardless if it’s payday or almost payday (when you’re trying to stretch your money so it would reach payday), a meal is in Carenderia Blues was always good and cheap. But the place now is different. A few months ago I passed by the area and it was replaced with some different looking diner. Not the same looking Karens we often visit for a cheap meal. But enough about that. As I’ve said, Cebu has and will always be rich in carinderias as people here, from the different parts of the Philippines or even the world, are always looking for some good food. Diners may look chic, or expensive or unique but they are just all vying for the attention and taste buds of the customers. Just like one I have learned about a few years ago. Ekit’s Foodhaus has been operating for God knows when for most of the people I know said they have dined there and it’s been there for a long time. Never had a chance to ask anyone from the place for the moment you step into that small door, you will get distracted, yes, distracted. Plastic tables arranged randomly and monobloc chairs are dragged from one table to another to accommodate the number of people in each tables. Their waiters – most of the time called either kuya, ate, boss or suki – walks around bringing trays of rice on plates and bowls of Pochero soup. Oh their Pochero and that soup. The soup is free. After you engulfed the first bowl, if you wish to have another, it’s on the house – if you wish to have another bowl with the meat, of course it’s not for free. Just the soup, that rich and murky Pochero soup. They claim it’s the best in town. You be the judge of that. They have a lot on their menu and they don’t have a list for you to choose. You go by the counter and pick from whichever your eyes find to be enticing. They have large servings for each food so you can share and the price is reasonable. It’s not the easiest place to find though, so check out the address for this place here. You might want to use your map for it since it is not located at the most convenient place. But in spite of that fact – in spite of the location , lunch time comes and the place is packed. Some people would have a hard time looking where to park their vehicles, because the place is jammed and it’s like everyone inside have brought their own wheels. So I do suggest you come early. They have someone who would help you with your parking, but still, if you wish to dine here, come early. Ekit’s Foodhaus is one of those place I recommend you to try, regardless if you’re a local and more if you are a tourist. It’s just a local diner some might say, but then again the best way to experience a place is be like the locals – in this case, eat like the locals, right?